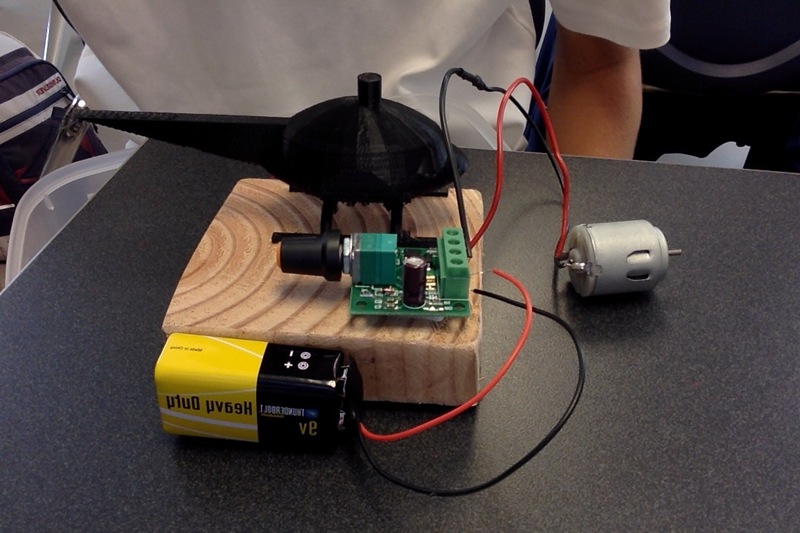 For my project I wanted to make a helicopter that would turn its propeller with a motor. I used a 3d printer to print the helicopter, a battery, a motor, motor controller, and a circuit board. The most challenging part of my project was the motor because I was unable to put the motor inside the helicopter to turn the propeller. I still used the battery and the circuit board to turn on the motor . The most fun part of my project was 3d printing my helicopter because I had never used the 3d printer before and it was cool to watch it print. Through the process i learned that it is good to have a realistic idea of what you are going to make. I also had to learn how to use Tinkercad to 3d print the helicopter. If I could do the project over I would create my helicopter so that I could put the motor inside it.